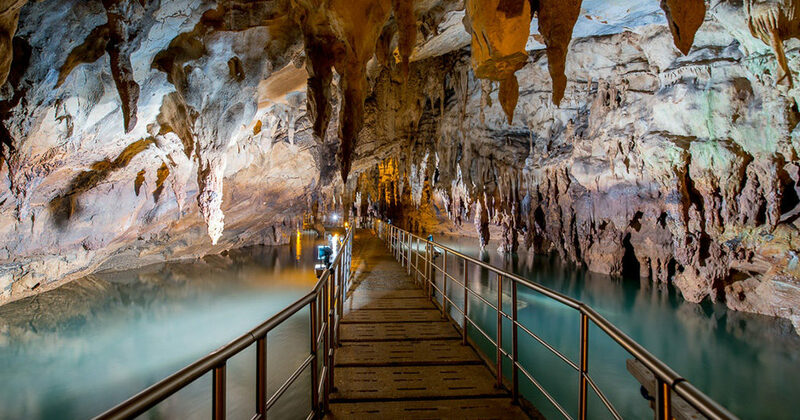 The Cave of the Aggitis River Cave, at Kokkinogeon, is located 25 km northwest of the city of Drama, the only well-developed river in the cave of Greece. It is an elongated but not straight line created by the erosion of the limestone rocks of Falakro Mountain. On a 12 km journey that begins thousands of years from the sinks of the closed Nevrokopi basin, where the water is gathered from winter snow and rains, the liquid treasure is transported to the dramatic plain. 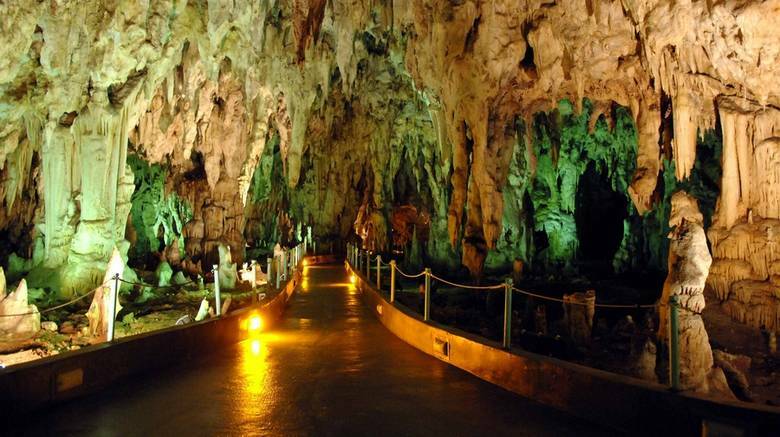 The cave of Alistratis is one of the most beautiful caves in Greece, with fantastic beauty and rich decoration, located southeast of the historic homonymous town and 6 km away from it. The wonderful cave of Alistratis, with the unique natural ventilation in all its parts, owes its birth to such phenomena that began their activity before 2.00 years. Its temperature is almost constant: in the winter around 18 ° C and in the summer around 20 ° C. Its area amounts to hundreds of acres but the tourist route is 1,100 meters long on perfectly flat ground. Elatia or Karantere is a mountain of Macedonia with a maximum altitude of 1,826 meters (peak Chakalos). 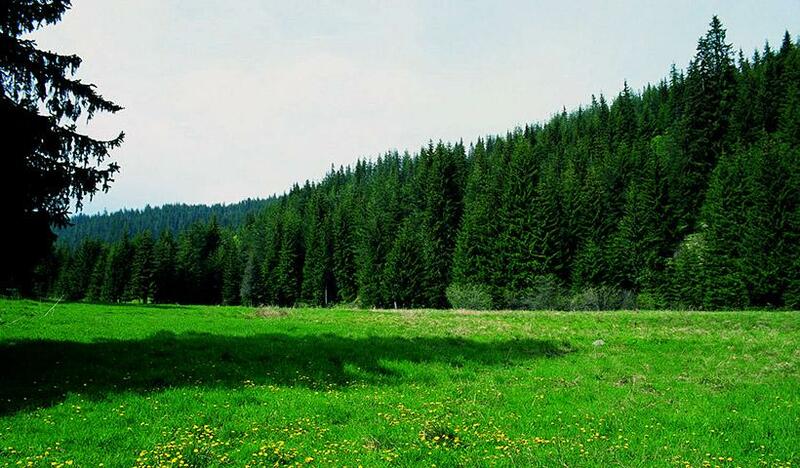 It is located in the prefecture of Drama and is part of the central Rodopi mountain range. The forest of Elatia is the largest in Greece in area (700 square kilometers), and consists of spruce, pine, cedar, beech, birch, poplar, maple, oak, rosemary and others. In the western part of the mountain, at Magoula, there is the birch forest, the only species of its kind in Greece. In general, the flora of Elatia is rich in species (over 700), with many endemic (local) of the Balkan region, and many rare for our country. Also, there is a variety of mushrooms with many edible (bulbs, mangroves, amanite caesar etc.). Frakto Oros is located in the prefecture of Drama and forms part of the mountain range. The North Part of Frakto has been for centuries as a natural “Parthenon”, the largest undisturbed nature monument in Europe, the Virgin Forest of the Paranesti, covering 5892 acres, divided into two spots (5020 and 872 acres respectively). It has been classified as a “Preserved Monument of Nature” and is the only Virgin Forest in the country. Moreover, it is considered one of the most important of its kind in Europe. Since 1980 the area has been declared, under a strict protection framework, and the Forestry Authority (24 hours) is required to visit the forest as a private individual.